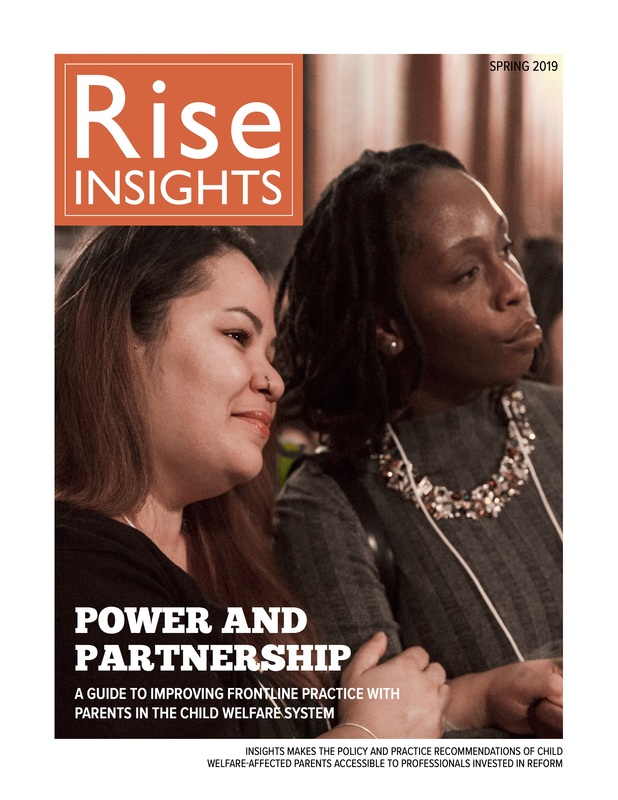 If you’re a parent reading Rise, chances are you’ve been affected by the child welfare system. But do you know how child welfare gets funded, or how that funding affects you as a parent? The money to pay for foster care comes from taxes. States and counties raise some of their own money through taxes and it’s local agencies that run the day-to-day process of child welfare. They’re the little people, the minions that make things happen. But the federal government in Washington covers most of the costs. It also passes laws that affect all child welfare systems in this country—including how long kids can stay in foster care before their parents’ rights should be terminated, and what states can use federal money to pay for. Right now, money from the federal government has to be used almost entirely on foster care services. That’s the administrative costs and salaries of running foster care agencies, and money given to foster parents to feed and clothe kids in foster care. That federal money is “uncapped,” meaning that every time an eligible child comes into foster care, the federal government sends money to that kid’s state to pay the costs of keeping that child in foster care. What that money can’t be used for is family supports to prevent a child from coming into foster care, or to help a family adjust when a child comes home. Instead, federal funding for those services comes from “block grants,” meaning there is a set amount of money that the federal government will give each state for prevention, and that is it. So there’s no limit on the help states get from the federal government if they take kids away, but there’s a limit on what they can get to keep kids out of foster care. Foster care ends up getting billions but prevention gets millions. According to Casey Family Programs, the federal government spends $6 for foster care for every $1 it spends on prevention. Even a lot of foster care agency leaders think this makes no sense. Some cities and states spend a lot of their own tax dollars on prevention. In New York, for every dollar the city spends on prevention, the state adds on 62 cents. That’s helped the city invest in preventive services. Right now, twice as many children are served in prevention than in foster care. But most other states don’t do that. And even in New York City, the budget for foster care is still twice as high as the budget for prevention. A new bill, the Family Stability and Kinship Care Act, introduced in Congress by Senator Ron Wyden of Oregon just this month, would change that. For the first time ever, it would uncap federal funding for preventive services for families with children who are considered at risk of entering foster care. That means that every time a family received preventive services to keep a child out of foster care, the federal government would pay part of the cost. The funding could also be used to help families keep getting help after children return home from foster care, and to help extended family caring for children. Right now it’s not clear whether that bill will pass at all or what compromises would have to be made to get it passed. While supporters of the bill argue that ultimately it costs less to keep children safely at home than in foster care, other members of Congress worry that the bill could wind up costing the federal government a lot of money. Those of us who have been in foster care and have had our children in foster care know how much that experience costs families. We would love to see more families receive services that meet their needs and help them feel supported and respected. We would love to see funding serve the goal of building families up, not tearing families down.